Originally intended for wear by German servicemen assigned to public or office functions. Now ready for a fresh mission around your shop, office, or other business environment. 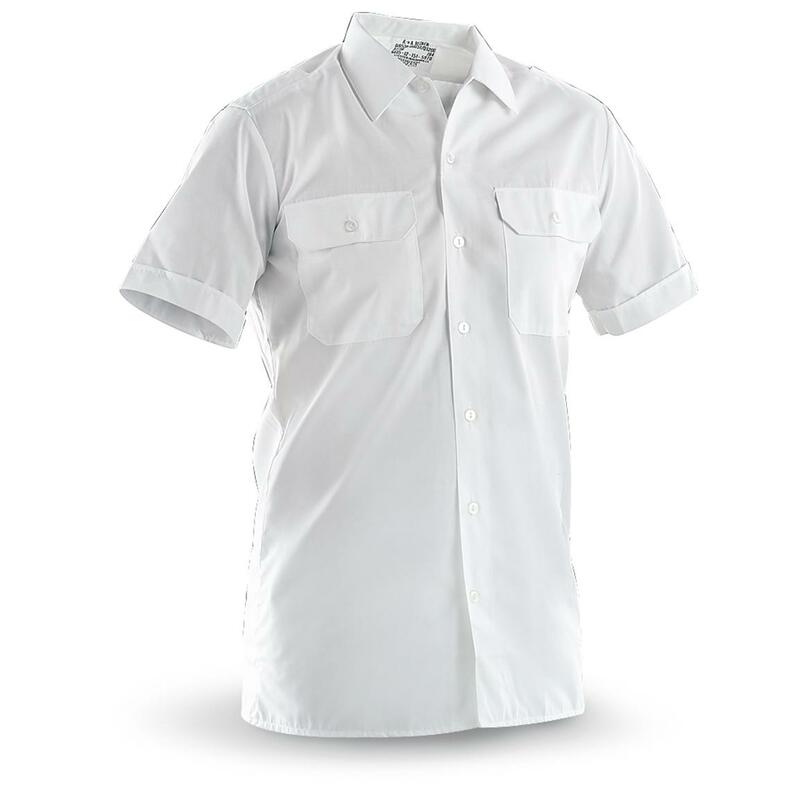 Plain white goes with just about anything, and brings subtle military style wherever you go. German Military Surplus Short Sleeve Service Shirts, 5 Pack, Used is rated 3.7 out of 5 by 3. Rated 2 out of 5 by GAMMP from OOPS! These are good quality. HOWEVER these shirts are small for a reason. They are not designed for serviceMEN but rather serviceWOMEN! They even have the buttons on the WRONG side! Rated 4 out of 5 by Darus from Not Bad Nice shirts for the price. A little annoying that the title says NEW but the description says USED? They are indeed USED but in really good shape. The XL fits like US Large and the Large fits like US Medium. Rated 5 out of 5 by GREGORY J from German's make good stuff. Cheers for Sportsmans Guide's continuing to purchase international surplus.